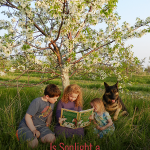 I read this article and wanted to share it with you: Is Sonlight a Charlotte Mason Homeschool or Classical Education? https://blog.sonlight.com/sonlight-charlotte-mason-classical.html. When I first began homeschooling, I was asked by several people, “What type of homeschooler are you?” And I would happily reply, “The kind who does school at home!” It took me a few months to realize that there are a plethora of homeschool styles and methods out there. 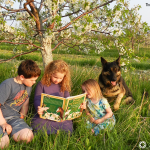 When I researched the different types of homeschooling, I determined to place myself neatly inside one of those homeschool boxes. That was harder to do than it sounds, though. I quickly realized that I didn’t fit entirely with any of the pre-set styles. Rather, I was eclectic. It shouldn’t have been a surprise to me. I’m eclectic in everything from music to food to reading. I suppose I just love a variety of flavors in life. Despite my eclectic tendency, I did find myself more drawn to two styles. Charlotte Mason and Classical both piqued my curiosity. While I never was able to jump on board entirely with either method, I still greatly value the principles of both. I think this is one reason why Sonlight is such a great fit for my family. It sits nicely somewhere in between those styles. Charlotte Mason was a pioneer in education, boldly declaring that, “Education is an atmosphere, a discipline, a life.” She believed that we educate the whole person, not simply improve the mind. 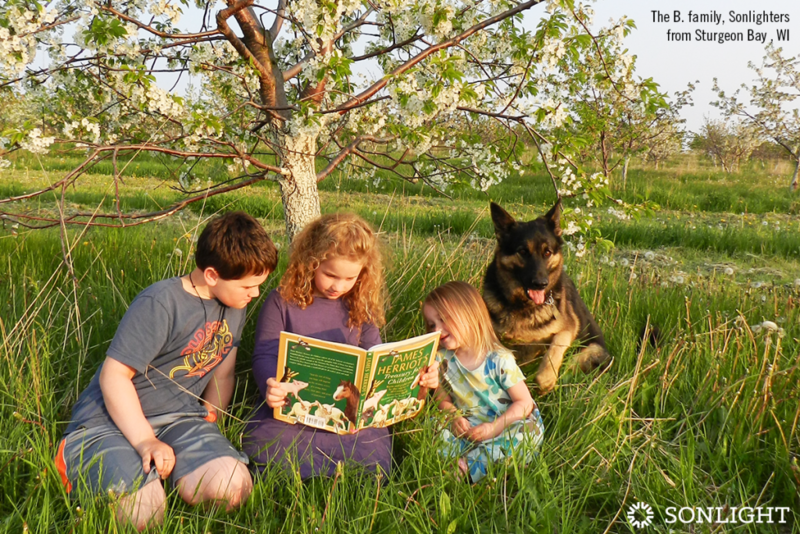 The heart of a Charlotte Mason education includes living books, short lessons, narrations, nature walks, and copywork. She emphasizes routine and repetition. If you’ve been a Sonlighter for any length of time, you can probably already see some of the Charlotte Mason influence oozing from the pages of an Instructor’s Guide. 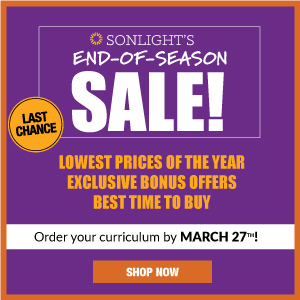 Sonlight Language Arts incorporates Charlotte Mason principles quite a bit, giving ample opportunities for narration, dictation, and copywork. Of course, the most glaring two words that jumped off the page at you were likely living books. 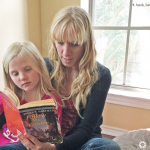 Sonlight families everywhere swoon at the idea of learning through living books. There’s just no substitute for an author who is passionate about the subject matter. Charlotte Mason knew that, and thankfully, Sonlight follows that rule to perfection, carefully selecting the best books to transport children to different times and places. Ahhh...sometimes I sigh when I think of a Charlotte Mason Education. It does sound absolutely wonderful. So why couldn’t I bring myself to go with a purely Charlotte Mason homeschool? Well, it’s simple. I couldn’t quite wrap my mind around it. I knew that I needed a more detailed guide for my homeschool than the abstract principles provided with the Charlotte Mason philosophy. I needed someone to put it all together for me and tell me what to do day by day. I needed someone to hold my hand. Classical Education is marked by three stages, called The Trivium. This includes the Grammar stage, the Dialect stage, and the Rhetoric stage. According to this philosophy, children move through the three stages throughout their development. At the Grammar stage, students are unable to analyze and synthesize information. Rather, they spend their time memorizing facts. When they enter the Rhetoric stage, they will develop higher level thinking skills such as analyzing information. The classical student goes through a four year history cycle so that by graduation, the child has gone through all of history three times. During these cycles, students learn a specified number of facts. Of course, this method appealed to me as well, because I love to have my children memorize. Memory is one of the areas of my education that I feel was lacking. I also appreciate the thought process that says that children gradually climb the ladder to higher thinking skills. So why couldn’t I dive head first into the Classical Style? I think I felt a bit constricted. I love the idea of studying subjects that interest my kids and me. I also really enjoy freedom in schooling. As a former public school teacher, I often times felt handcuffed to my curriculum guide, unable to veer from the beaten path. 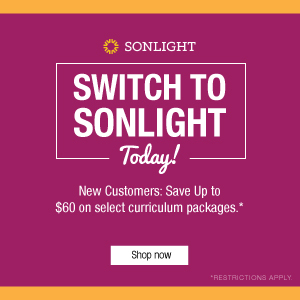 So Where Does Sonlight Fit? There is definitely influence from both of these time-tested methods. Sonlighters learn grammar and writing through weekly narrations and copywork. Sonlight without question gives a soothing Charlotte Mason vibe. The promise of simple, easy days of deep thoughts and connections lies between the pages of each and every living book. However, Sonlight provides peace of mind for the mom who yearns for a clear, concise guide that she doesn't have to spend time planning. The Classical influence is slightly harder to spot, but it’s most certainly there. 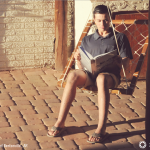 The timeline book is one of my favorite tools for history, and it rings of classical flair. 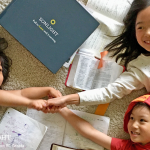 Sonlight also encourages memorizing Bible verses each week. There’s a cohesive order in which the student works through history. Sonlight feels a bit more flexible to me than a strictly classical approach. With Sonlight, I feel I can occasionally chase rabbit trails. And while I appreciate memory, I don’t have to worry about my kids memorizing a list of facts in order to move on to the next level. I like the freedom Sonlight gives. 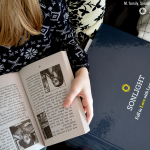 If you’ve ever researched either the Charlotte Mason or the Classical Method and found one of them resonates with you, Sonlight should absolutely be on your radar as an option. 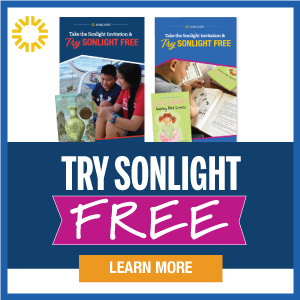 While there are plenty of families who find their groove in purely Classical or purely Charlotte Mason, many families have found Sonlight to be the perfect balance, drawing some of the best parts of each approach to create what is the unique Sonlight experience. 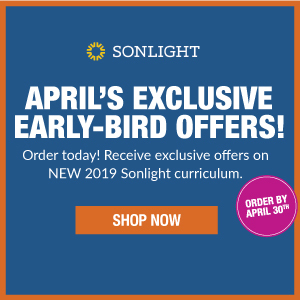 If you want to know more about a Sonlight education, we have experienced homeschooling moms who would love to talk to you. Click here to connect with your homeschool consultant.